I want to write a few blog posts about the fun craft projects the girls and I have tried this summer. 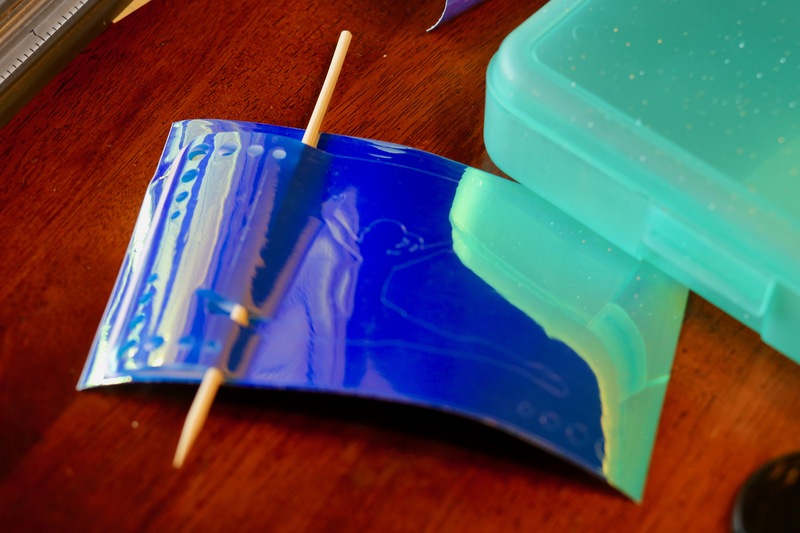 This has been the summer of learning a new way to make friendship bracelets (that’s super easy), weaving, rock painting (as always), and most recently, decorating school supplies with paint and vinyl. 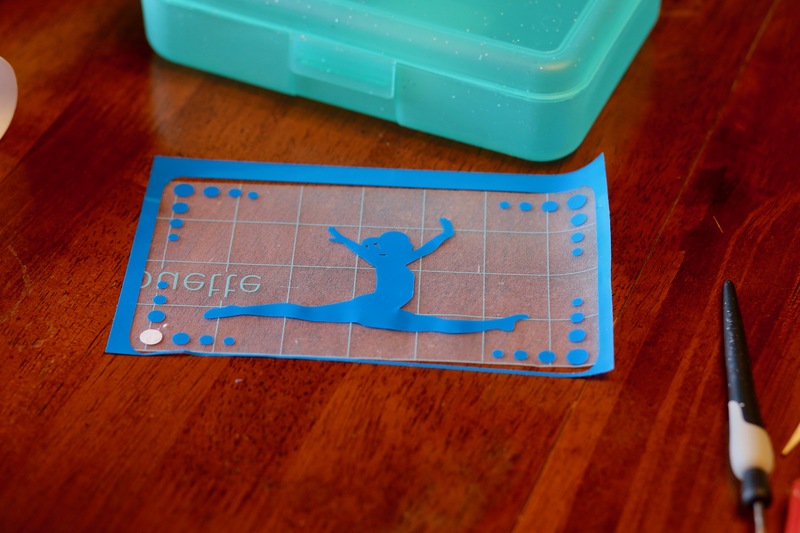 I wrote earlier this summer about how I stocked up on craft supplies at Michael’s. When I saw they had pencil cases in super cute colors for only a dollar each, I didn’t just see a way to store pencils, markers and crayons. I saw a fun craft project. My plan was to use the pencil cases as a canvas, in sort of the same way I love to paint rocks. I also wanted to decorate a few of them with vinyl. I was thinking I would buy some patterned vinyl, which I have been dying to try. But when I got to the craft store, I realized they now sell HOLOGRAPHIC vinyl! I’m not sure it’s possible for me to get more excited! This vinyl is soooo stinkin’ cute. It changes color from dark blue to green to pink to silver depending on the light and what it’s next to. 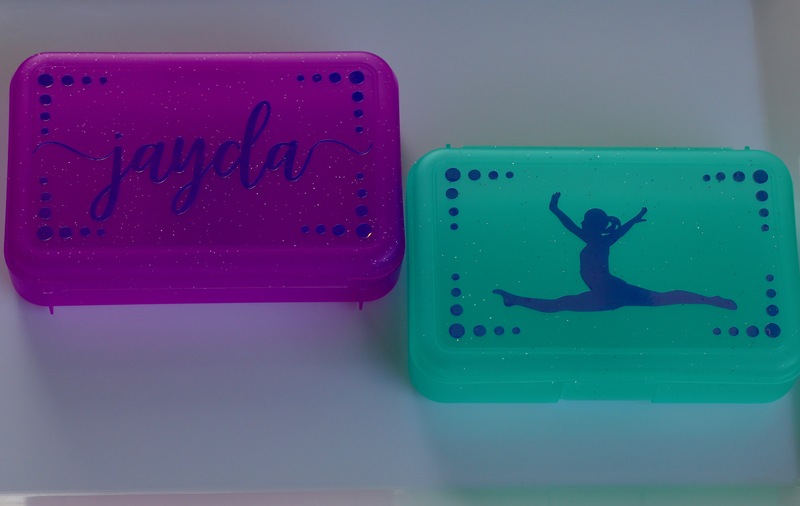 I measured the top of the pencil cases and designed the two different boxes on my Silhouette. Here’s what the vinyl looks like when it’s still on the sheet. Notice how it reflects the green of the pencil case? I weeded out the image and then added transfer tape so I could place it on the pencil case all at once. Here’s what it looks like from the back before I applied it to the pencil case. I also cut out the border of the top of the case so I would know how the edges were supposed to line up. For the cases I decorated with paint, I prefer to paint all of the dots using a pencil dipped in paint. I paint the larger dots with the eraser of the pencil, and I paint the smaller dots using the tip. It’s a really easy and fun way to paint, and I find it very relaxing to sit and paint dots! However, she is going to use one of them as a storage case for her headphones. 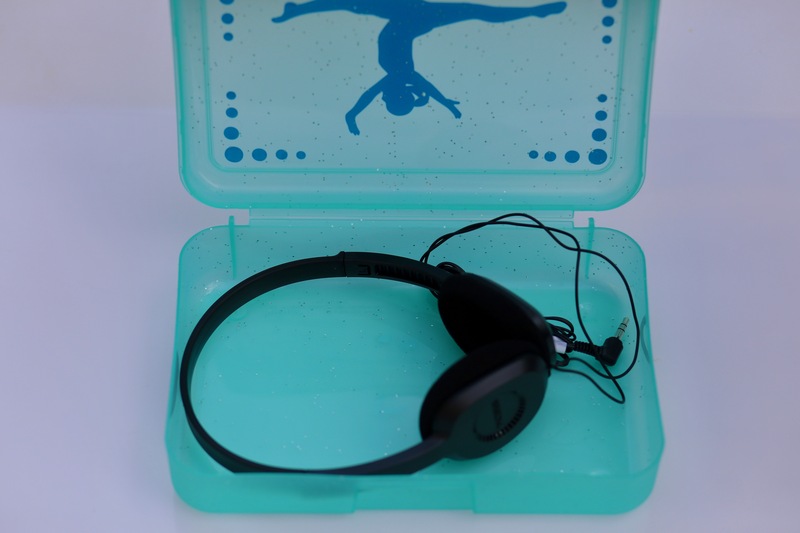 We were so happy that her new, larger headphones fit perfectly in the case! We also use them to take art supplies on the go. We will use them to store embroidery floss for our friendship bracelets, as a first aid kit or a place to store toothpaste and other essentials when she goes to a sleepover. 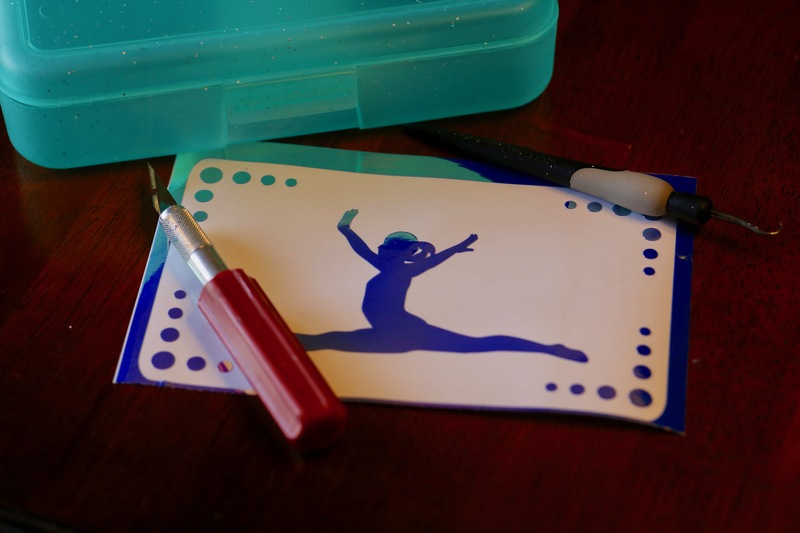 There are really a ton of uses for pencil cases, but they are mainly just a fun art project! So, tell me… Have you tried any new crafts this summer you can share with me? I would love to hear! Leave me a comment below.